Finally, you’ve landed at the right place, here you will find a large numbers of latest government and private jobs in Dubai with walk in interview and without walk in interview job updates on the regular basis with its true and complete details. Why do we take a stand for updating our blog site with 80% jobs in Dubai and walk in interview vacancies? A few months ago, we started to get complaints from our beloved visitors about no response towards employer after sending job applications. Later, we started to observe the reason behind and what we found. A candidate applying from outside the UAE and complain us about getting no response. Because here you can also learn steps on how to get a Job in Dubai and across UAE, what things you should keep in mind before coming to UAE you can find its complete case study based on detailed research. 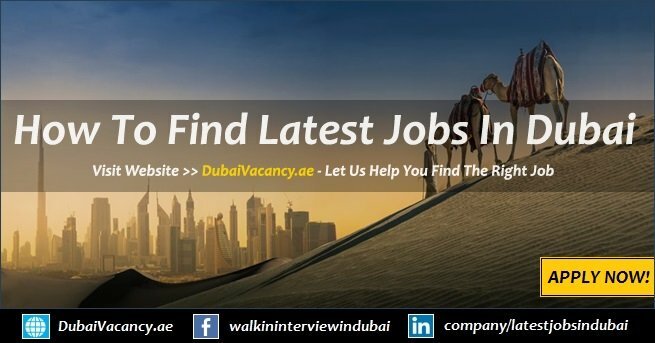 Moreover, below you can find extensive numbers of job vacancies in Dubai along with the walk in interviews details. So without further do, let’s jump on the list of vacancies seen below. All the the very best of your future!